How does state law impact what a federal tax lien attaches to? Because state law can vary greatly from state to state, this is an important issue when considering the impact of a federal tax lien issued by the Internal Revenue Service. The article below has been drafted by a tax attorney in Denver, Colorado at The McGuire Law Firm to provide information related to the above issue. 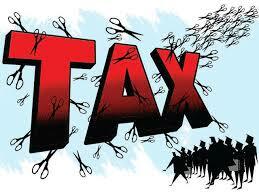 Please remember to always consult with your tax attorney or tax professional regarding your specific issues. When considering property rights and what rights a federal tax lien attaches to, it is very important to consider state law. While federal law will determine whether an interest qualifies as property or a right to property, the Internal Revenue Service will look to at the applicable state law in determining what rights a taxpayer has in regards to a specific piece of property. In the court case, United States v. Craft, 535 U.S. 274 (2002) (and see Drye v. United States) the court specifically stated, “One looks to state law determine what rights the taxpayer has in property the Government seeks to reach, then to federal law to determine whether the taxpayer’s state delineated rights qualify as property or rights to property within the compass of federal tax lien legislation. Thus, state law will determine the taxpayer’s right in property, but it is important to remember that state law will not determine whether something is property under the Internal Revenue Code. A good example of this issue is a state issued liquor license. Under many states laws, a liquor license may not be recognized as property. Whereas, under the Internal Revenue Code, the question is whether the taxpayer has rights under the state’s applicable laws. Because the taxpayer does have rights under state law, the liquor license would be considered property under the Internal Revenue Code, and there when the Notice of Federal Tax Lien is filed by the IRS, the tax lien will likely attach to the liquor license. If you owe taxes to the IRS, or the IRS has filed a tax lien against you or your business, contact The McGuire Law Firm to speak with a tax attorney in Denver, Colorado. The McGuire Law Firm allows a free consultation with a attorney to discuss your IRS issues and matters, or other tax questions, issued and concerns. Contact The McGuire Law Firm today to schedule your free consultation! Where is a IRS Tax Lien Filed?